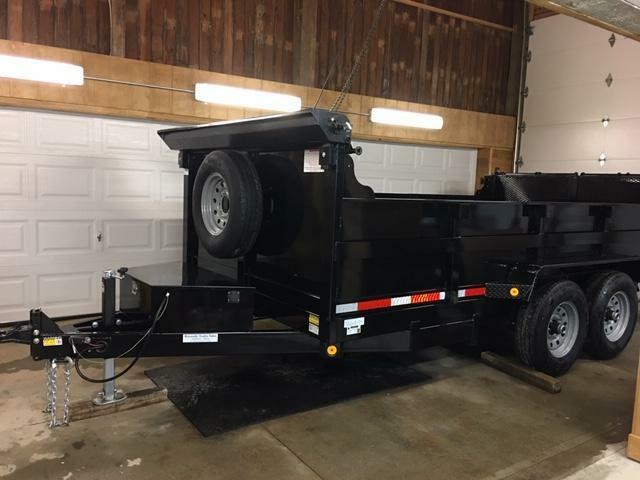 Brand NEW 2019 83" x 16' Hydraulic Dump Trailer. 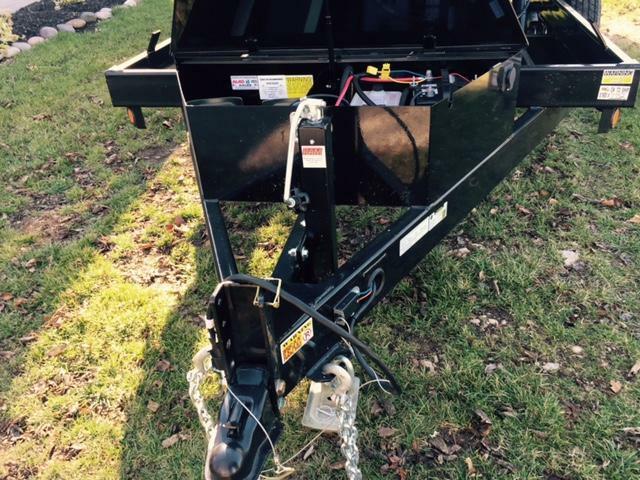 Quality Steel Products Hydraulic Power up / power down Lift Dump 2-Piston. W/ *ROLL TARP SHIELD KIT, DEEP CYCLE BATTERY, BUILT-IN CHARGER, MATCHING SPARE TIRE ASSEMBLY. 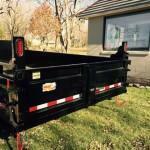 Don't pay a dealer for extra options you really need to complete your dump trailer! 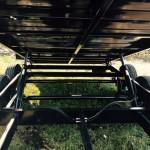 We don't haggle over basic cost of the trailer and mark up options! It's the best deal offered.. one price! Heavy Duty Tubular frame construction with wiring inside tube not typically running on outside of channel frame. 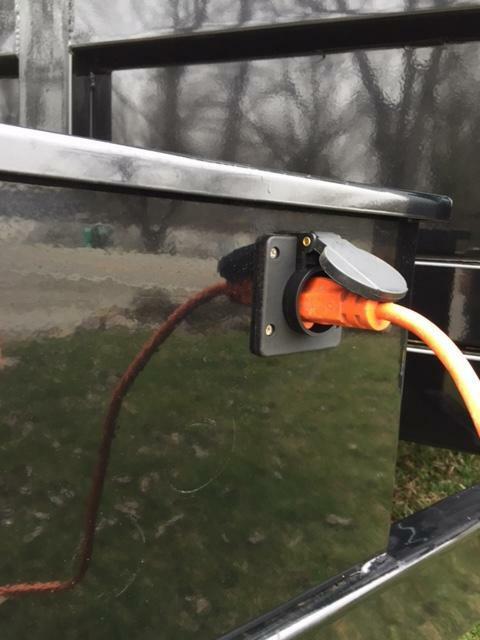 2-Way combo spreader tailgate. Lockable divided tool box. Bulkhead with pre drilled top gussets to add 2 x 12 boards. Hydraulic pump is inside large toolbox makes easy access, Not out of the way mounted on the frame or underneath bed box which is also a risk of injury when repair work is required if pump fails. * TANDEM 7000LB. 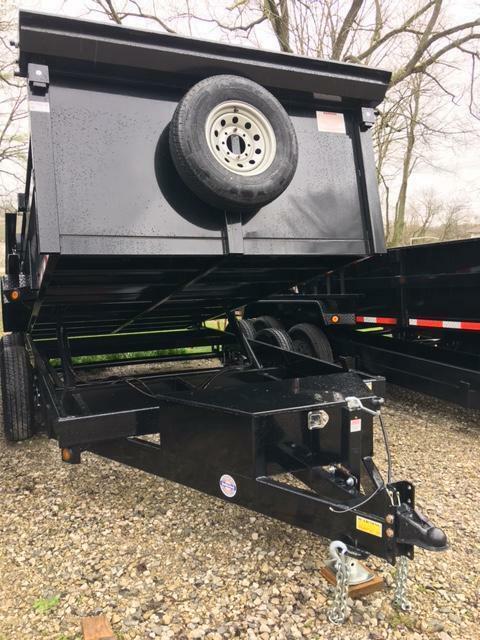 LIPPERT SPRING AXLES-EZ-LUBE, TWO WAY TAILGATE, SKID LOADER RAMPS, 5 D-RINGS, SIDE STAKE POCKETS, LED LIGHTS, ROLL SHIELD SYSTEM INCLUDED; DEEP CYCLE BATTERY; BUILT-IN LED PLUG-IN BATTERY CHARGER; SPARE TIRE ASSEMBLY. Please call or text for details. 2 X 12 SIDE BOARDS NOT INCLUDED. DEMO OF WELDED FRONT / REAR GUSSETS.